Bob Catlow and Betty Minson Catlow have been liveaboards since September 2012. 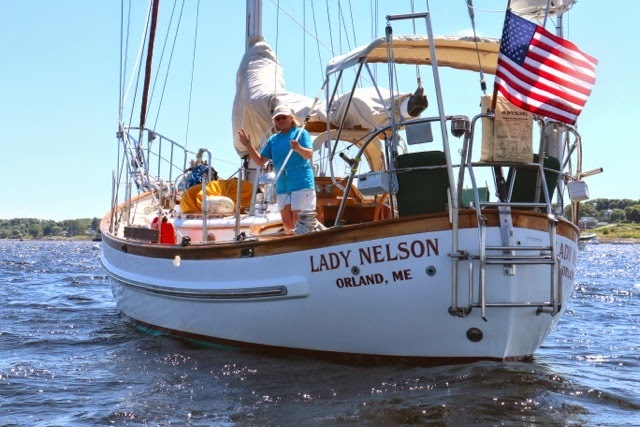 They purchased Lady Nelson in July 2011 in Sag Harbor, Long Island, NY. After selling her they bought an Eagle 40 trawler and hope to start the Great Loop in 2017. Loren and Lani Hart — The Harts started and owned Lord Nelson Yachts Ltd. Loren helped Tommy Chen refine his Seagull 41 design into the Lord Nelson 41. One holding tank forward of head.